Dionne will only be considered for a home with at least one resident dog who is neutered. 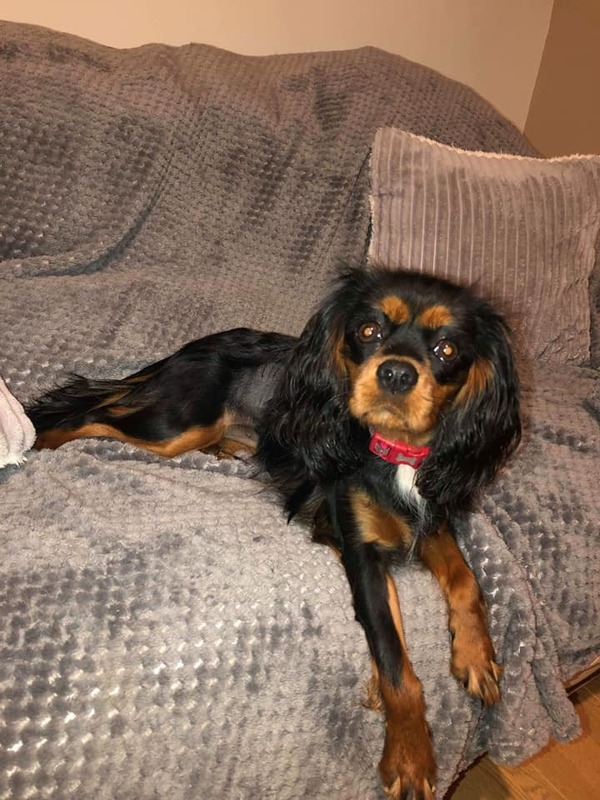 Dionne is a 3-year old Cavalier King Charles Spaniel, who is being fostered in Newport, South Wales. She is an ex-puppy farm girl who we think will make an amazing pet. 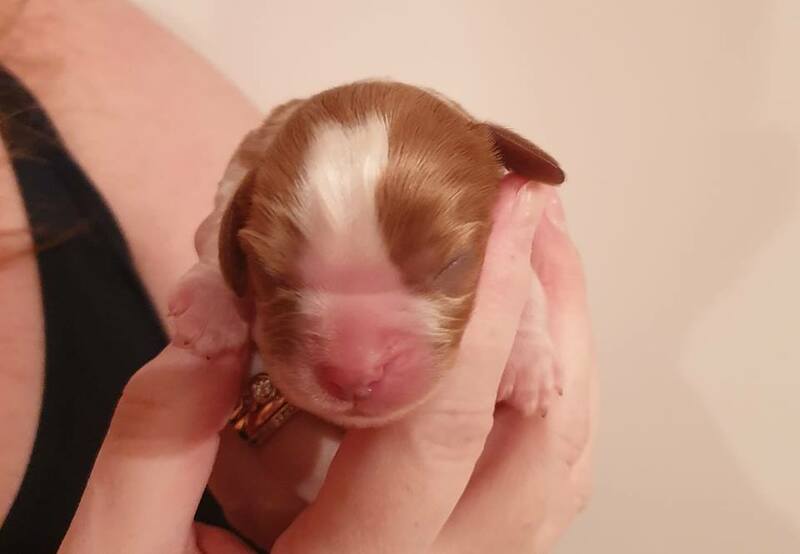 Dionne isn’t your typical small cavalier. She is rather large in height and size weighing about 13 kilos but is slim. Dionne has just recently come out of season whilst being in her foster home. People – Dionne craves human touch. She loves a fuss and to be stroked. Her favourite place to be is right beside you. Dionne might be a little bit shy at first but soon comes round and then her tail is constantly wagging and she will follow you everywhere. Dionne is currently living with a 5-year old child who she loves. She will go for a fuss and a cuddle without hesitation. 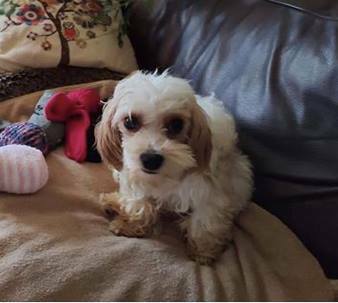 Dogs – Dionne lives with two female Cavaliers and loves nothing more than to cuddle up to them. 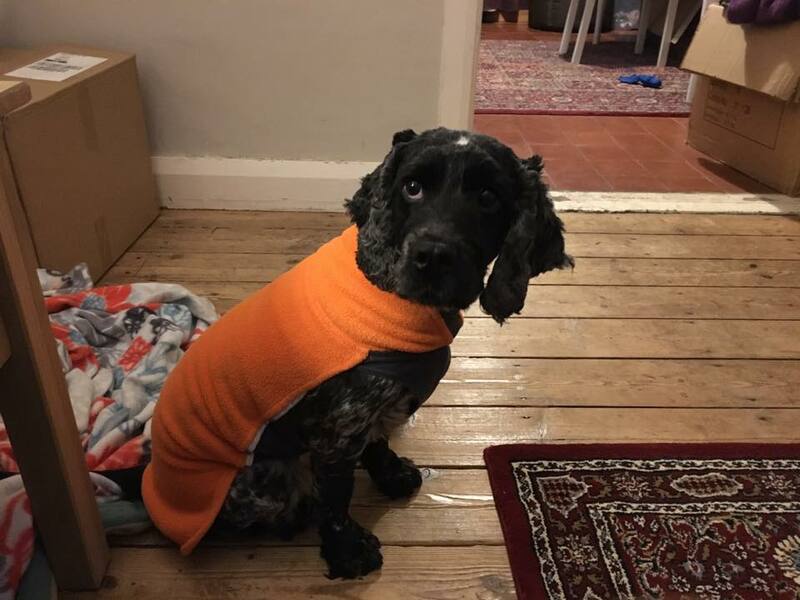 She has also met quite a few dogs since being in foster and has been fine with all of them as long as they aren’t too boisterous and then she will tell them off. Dionne is very food driven and will think nothing of knocking other dogs out of the way to get to it. She loves company and chilled out dogs as she copies their behaviour. In the home – Dionne has been left for up to a maximum of 3 hours and she has had no problems. Dionne can be a little but jumpy with the vacuum cleaner but is fine with the washing machine and tumble dryer etc. She loves to rest her head on you at every opportunity. Out and about – Work in progress. We are currently managing a few steps with a lot of persuasion and encouragement so this will definitely be an area that needs work but we are sure in time she will learn to love a walk. Type of home – Dionne would love a home with children over 5 with another calm resident dog. Someone who works part time and who is willing to dedicate the time to continue with her toilet and lead training.